Asiad Steels is one of the renowned suppliers and manufacturer of Inconel 601 Bolts. 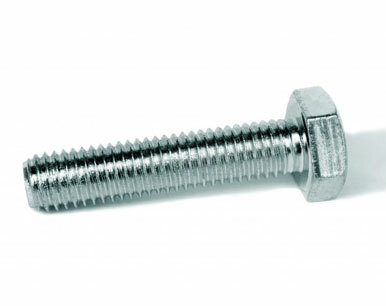 These, Inconel 601 Hex Bolts are manufactured from alloy containing nickel as base element with additions of chromium. These Inconel 601 Heavy Hex Bolts are designed to have exceptionally high strength and creep-rupture properties at higher temperatures and pressures. 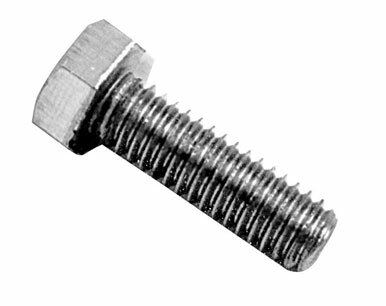 The high alloy content of Inconel 601 Hex Cap Screws enables it to withstand a wide variety of severe corrosive environments. Inconel 601 Hex Screws also has good resistance to aqueous corrosion, has high mechanical strength, and is readily formed, machined and welded. Inconel 601 Socket Cap Screws is used for industrial furnaces; heat-treating equipment such as baskets, muffles, and retorts; petrochemical and other process equipment; and gas-turbine components. The Inconel 601 Machine Screws are also used in Hardware, Petro-Chemical Industry, Oil and Gas Industry, Nuclear Industry, Pulp & Paper Industry, Research & Development, Mega Projects & Defence & Development Industries. 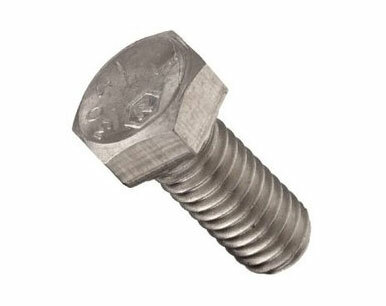 Meanwhile, tubing in Inconel 601 Round Head Bolts has been used for many years in ceramic tile production in the latest designs of roller hearth ovens as the material resists the high temperature firing cycle and the corrosive effects of the glazes and stucco applied to the tiles. The Inconel 601 Allen Cap Screws are manufactured to sustain very high pressure and product warranty. 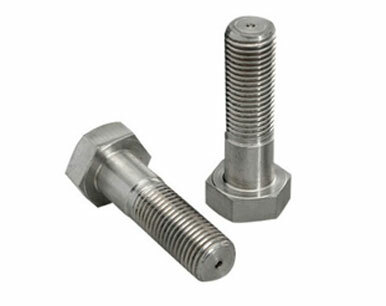 Heat Resistance retains its strength over a wide spectrum of temperatures, making these Inconel 601 Square Bolts suitable for applications where steel would succumb to creep. Buy Alloy 601 Boltsat reasonable rates from us. We are Exporter of Inconel 601 Bolts in Worldwide Such as India, Libya, Iran, Ghana, Norway, Denmark, India, Turkey, Egypt, Mexico, Poland, Greece, Czech Republic, Sweden, Bulgaria, Kuwait, Belgium, Indonesia, Costa Rica, Romania, Sri Lanka, Japan, Spain, Argentina, Iran, Netherlands, Hong Kong, Lebanon, Australia, Algeria, Nepal, Taiwan, Namibia, Portugal, Saudi Arabia, Macau, Serbia, Azerbaijan, Puerto Rico, Chile, Italy, Oman, Philippines, Afghanistan, Angola, Lithuania, China, Gabon, Hungary, Vietnam, Canada, Gambia, Russia, Switzerland, Yemen, Ecuador, Thailand, Germany, New Zealand, Singapore, Ukraine, France, Nigeria, United Arab Emirates, Finland, Malaysia, Peru, Bangladesh, Slovakia, Colombia, Bahrain, Morocco, United Kingdom, Mexico, Kazakhstan, Bhutan, United States, Iraq, Venezuela, Poland, Bolivia, Zimbabwe, Chile, Jordan, Qatar, Nigeria, Kenya, Austria, Ireland, South Africa, South Korea, Mongolia, Brazil, Tibet, Belarus, Croatia, Trinidad & Tobago,Tunisia, Pakistan, Estonia, Israel. We are Suppliers of Inconel Alloy 601 Bolt in India Such as Mumbai, Hanoi, Dallas, Jakarta, Jamshedpur, Dubai, Ahvaz, Rajkot, Gimhae-si, Chennai, Vung Tau, Rio de Janeiro, Chandigarh, Kuala Lumpur, Navi Mumbai, Algiers, Aberdeen, Jeddah, Brisbane, Indore, Atyrau, Chiyoda, Perth, Montreal, Lahore, Baroda, Bangkok, Lagos, Pimpri-Chinchwad, Faridabad, Granada, Caracas, Al Jubail, Nagpur, Howrah, Geoje-si, Bengaluru, Istanbul, Nashik, Madrid, Vadodara, Milan, Ranchi, Edmonton, New York, Kolkata, Karachi, Sydney, Ulsan, Ernakulam, Santiago, Mexico City, Courbevoie, Hyderabad, Tehran, New Delhi, Calgary, Thiruvananthapuram, Riyadh, Noida, Colombo, Bhopal, Kuwait City, Bogota, Gurgaon, Houston, Ankara, Mumbai, Ludhiana, Cairo, Kanpur, La Victoria, Melbourne, Seoul, Doha, Muscat, Ho Chi Minh City, Busan, Toronto, Manama, London, Secunderabad, Ahmedabad, Abu Dhabi, Haryana, Visakhapatnam, Jaipur, Port-of-Spain, Los Angeles, Coimbatore, Dammam, Al Khobar, Singapore, Hong Kong, Thane, Petaling Jaya, Surat, Sharjah, Pune, Moscow.